Hey everyone! We have some exciting news for you all! But we can’t tell you just yet! Such a let down, right? Anyway, we’re going to jump in with this week’s Kickstarter Weekly, and there’s some cool stuff to check out from some of our favorite publishers and designers, so let’s get crackin’! Our good friend Jason Tagmire is back with another deck of Storyteller cards. 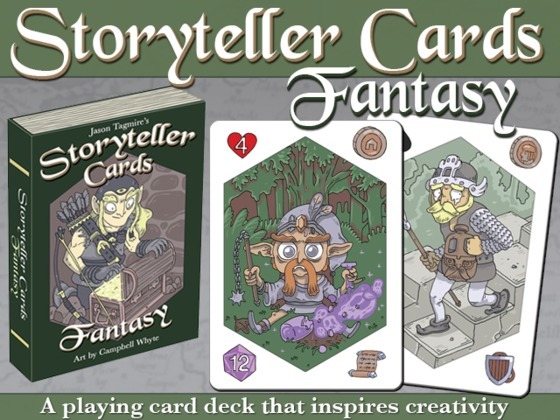 Storyteller cards serve as a regular deck of playing cards, a creative tool, and a way to teach creativity to young gamers – think story dice. Along with the cards, your pledge will score you the Storyteller Manual–in PDF form, or as an add-on–that will have games designed by some fantastic designers specifically for the deck of cards you’ll be getting. The first game announced is Divvy In The Dungeon by the one and only Jason Kotarski, you may know him as the guy who designed a TOG favorite The Great Heartland Hauling Co. And who has a few more games hitting the market this year with Crash Games! With more to come, this campaign is super inexpensive to get into and packs a lot of potential; we think you should jump on board! The campaign ends on April 24, and a pledge of $10 will get you a deck of your own! You can find all of the details right here! 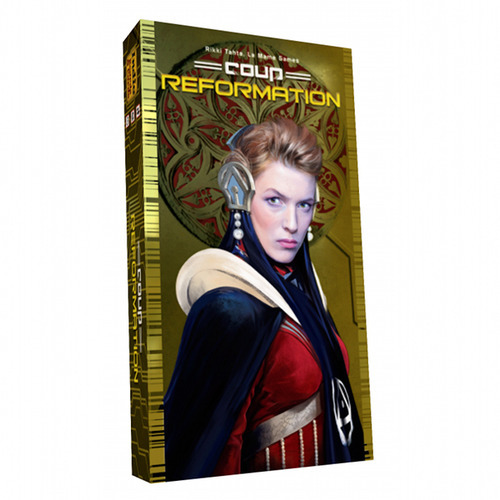 Hot on the heels of their successful Coup campaign of last year, Indie Boards and Cards have just launched a Kickstarter campaign for Coup: Reformation. Well, we know we were missing in action last week and neglected to bring you our usual volume of quality content–including an installment of Kickstarter Weekly. But never fear: We’re back at it this week and bringing you tons of exciting news from our favorite crowd-funding site. So without any further delays let’s dig in as we bring you a king-sized version of Kickstarter Weekly! Viticulture, the game that nearly won my (Jeremiah’s) Game of the Year, is getting an expansion! This is an interesting take on tackling an expansion, where players will unlock smaller expansions one-by-one within the box until the full expansion is included into the game. It seems a clever device to slowly introduce smaller elements of the expansion instead of completely overwhelming players with a TON of new mechanics, components, and strategies. Because of these smaller modules of the expansion, players get to pick and choose their experience each time, as well. The campaign has already blown past its funding goal and is over $150,000, which has unlocked tons of cool stretch goals, and they’re pushing closer to the final goals with each passing minute! Stonemaier has carved themselves a solid place in the market with their superbly run Kickstarter campaigns and great games; this should be a no-brainer to fans of Viticulture! The campaign ends April 9. and it will cost a pledge of $45 for a copy. You can see all the details right here! Vikings seem to be the new pirates. 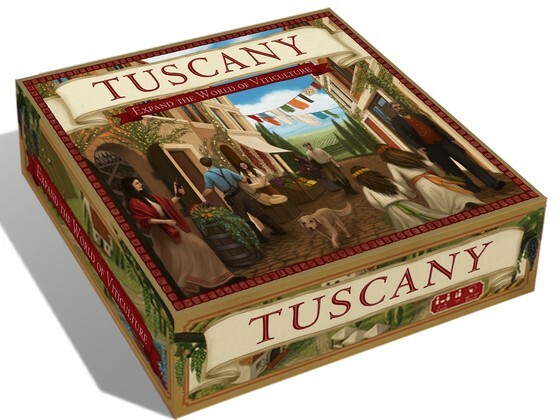 There are TV shows, an upcoming reprint of the great Kiesling game by that name, and now we’re seeing a few new games added to the fray. 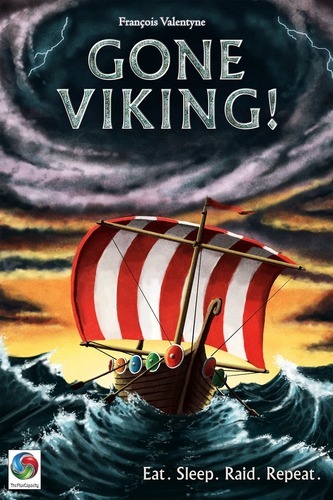 Gone Viking! is a trick-taking game with a pantheon of twists on the genre. Is it a longboat of fun, or should it be sacked? Let’s find out. Well, it’s been an exciting week for us so far here at TOG, and even with the news about us being a part of the Simply Youth Ministry Conference, we’ve somehow found time to bring you another installment of games that are pleading their case over on Kickstarter. There’s a ton of great stuff happening, so let’s dig in with this week’s Kickstarter Weekly! This town may not be big, but neither is the price point for this one! For a paltry three American dollars you can get a copy of this game, plus all the stretch goals! 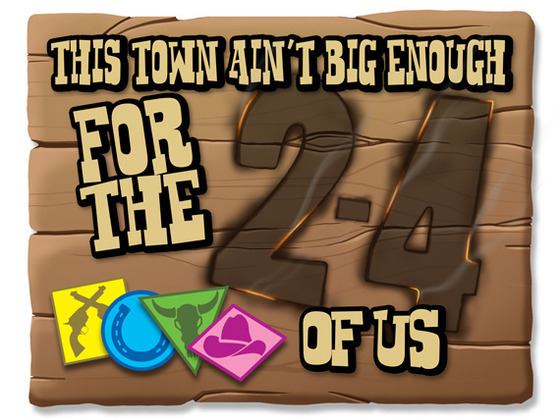 Tasty Minstrel is owning the micro game market on Kickstarter right now, and for $3 there’s no reason to wait to pull the trigger on this micro tile-placement western showdown! The campaign ends Feb. 14, and, like we said you can get a copy for a pledge $3!! Find all the details including all the unlocked stretch goals right here!